On 27 April join artist Vincent Babia, and Mona Townson, Seisia Community Speaker, for the official opening of Koey Buwai Mab: Migration from Saibai Island to Cape York. With fantastic performances by dance groups Seisia Kayin Thithuyil and Guba Markai. 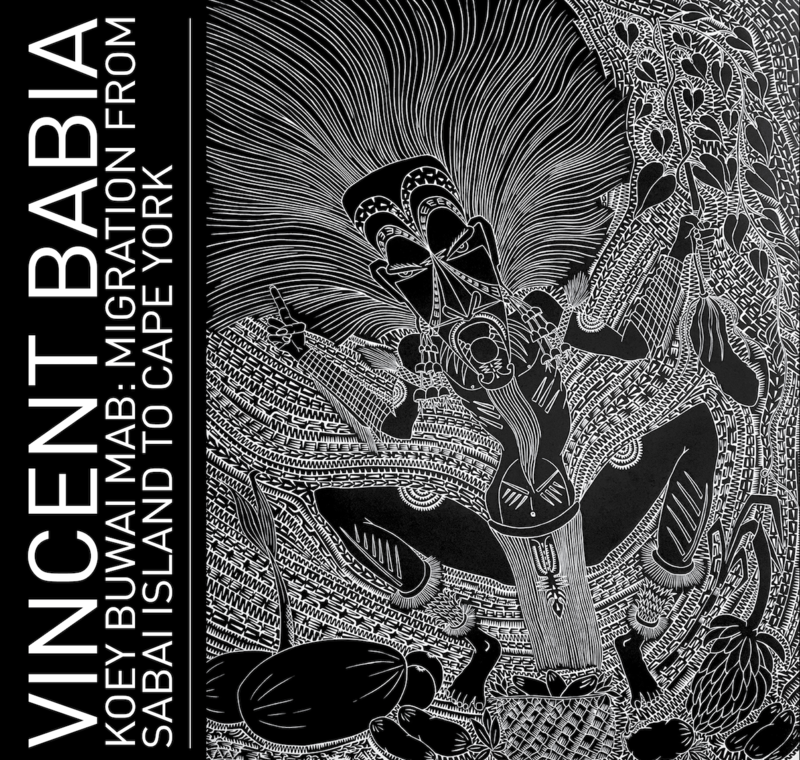 Join artist Vincent Babia, and Mona Townson, Seisia Community Speaker, for the official opening of Koey Buwai Mab: Migration from Saibai Island to Cape York. With fantastic performances by dance groups Seisia Kayin Thithuyil and Guba Markai.